I took an evening flight to Kuala Lumpur on the 14th of August. I wasn’t pleased to find I got an aisle seat, but my mood easily improved upon seeing I had no seatmates. I waited for the plane to close before taking the liberty to switch to the window seat. I prefer sitting by the window because the sight of clouds does wonders in managing my flying anxiety. It was nighttime, I knew I won’t be seeing a sea of clouds, but I wanted to lean on the window in the hopes I could get some sleep. I turned to my left and saw this man who seems to be Chinese on the row across mine. He was wearing a blank expression, busy tinkering with his tablet. He looked like he just stepped off the office, donned in dark colored jacket and trousers, and black shoes. His hair was neatly combed and he was wearing spectacles. I wondered if he was working even during flight. As I thought of this, his tablet tilted a little bit, allowing me a glance on the screen and an answer to my question; he was playing a game. It was a 4-hour flight to Kuala Lumpur, I desperately hoped for sleep. The first hour went on just fine despite the slight jolting of the plane. Two hours in the flight and my nightmare has begun. The turbulence was stronger, it felt like the plane was hitting solid bumps along the way. I remember thinking to myself if I should start worrying. I glanced at the Chinese guy, he was still busy with his game and looked rather unfazed. I took a sigh of relief. Somehow his calm demeanor kept my fear at bay. My eyes wandered to the other seats and I saw a few passengers still sleeping. The Chinese guy, on the other hand, was no longer playing. On his face I read something that I’d been dreading to see; worry. Just like that, fear took reign over my heart. I begged the gods, the angels, and the saints to make it all stop. It was a ride from hell but despite it being bumpy and very traumatizing, we landed at Kuala Lumpur International Airport 2 in one piece. It made me dread the 4 other flights that I had to take for the entire trip. Yes, you read that right, all in all, I took 5 flights on my Malaysia-Singapore trip. For someone who has a flying anxiety, I sure flew a lot. But for all the horrors of turbulence, I cannot argue against the benefits of flying over land travel. If like me, you could only take a few days off from work, then time is of great value. I would only take the land option if the airfare is too expensive, but in this case, the domestic flight in Malaysia is cheap, so is the flight option to cross to Singapore. That deal cannot be beaten; not only did it save me a lot of time, it also didn’t put a great dent in my budget. Because of this I’d been to 3 airports, and taken the service of 3 different airlines. That first flight from Manila to Kuala Lumpur is the worst, and the best one is when I took the Jetstar flight from Penang to Singapore. It was my first time to ride Jetstar and I didn’t know what to expect. Jetstar is stricter when it comes to phone use, while Air Asia and Cebu Pacific disallow it only during take off and landing, Jetstar forbids the use of it in the entire flight. At first, I was a bit upset because I play music to help calm my nerves. The good news is, turns out I didn’t need because this flight was so smooth it was easy to believe we weren’t thousands of feet off the ground. Air Asia takes the cake for having the most good looking cabin crew. I swear to you I have never been on an Air Asia where the flight attendants are not beautiful. It’s like if you don’t look better than most people, you have no chance of getting hired here. Cebu Pacific, on the other hand, has the friendliest crew. I wish they could improve on their uniforms though especially for international flights. I just think they are dressed too casually compared with the other airlines. Now let’s go to the airports. Kuala Lumpur International Airport is one of the major airports in Southeast Asia. 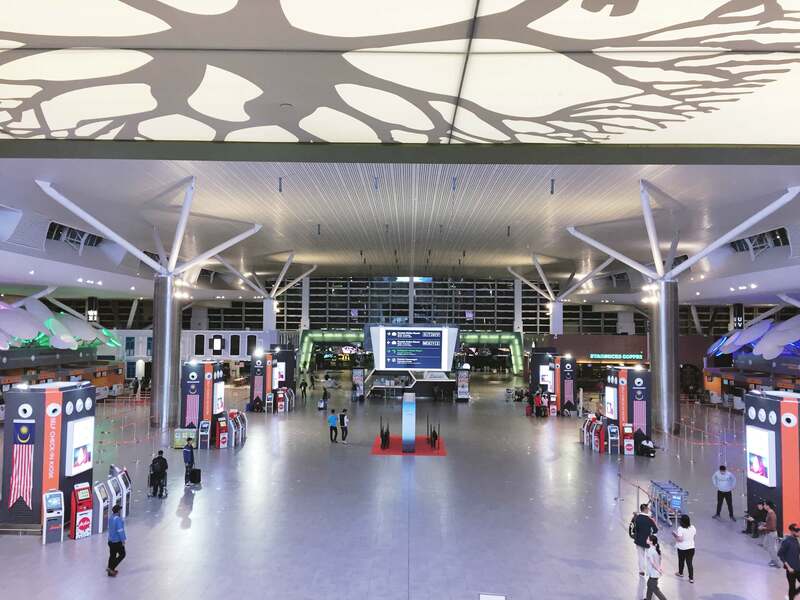 It was inaugurated in 1998 and it has two terminals, KLIA1, the main terminal and KLIA2, the low-cost carrier terminal. It is located in Sepang, Selangor, Malaysia, about 45-km away from the city center. My plane landed on KLIA2. I hate to make the comparison but I couldn’t help it. Facilities wise, KLIA2 is way more advanced than NAIA. The first thing that I noticed is the prayer rooms, intended for their Muslim passengers. Note that over 61% of Malaysians follow the Islam religion. 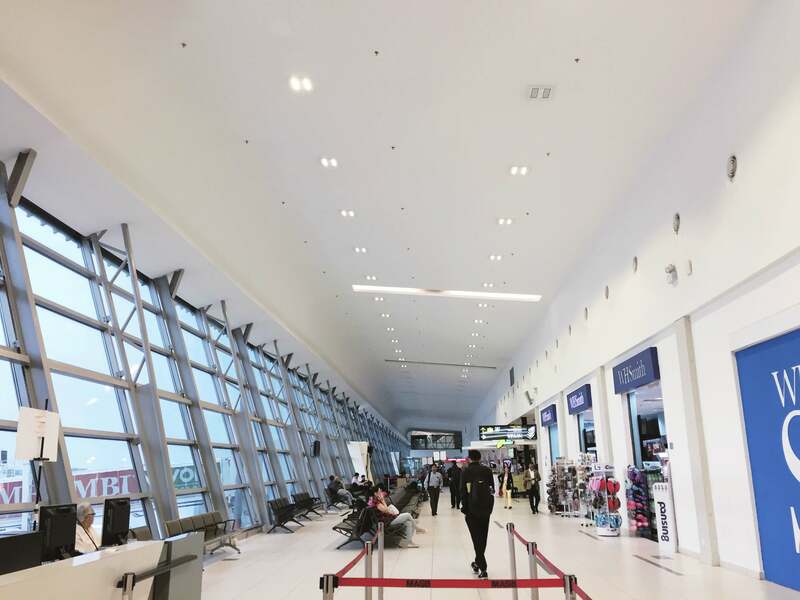 Among their facilities that are not available in NAIA are the baby rooms, bus services, security pass counter, train services, storage & locking services, and massage chairs. You can also take a train to travel between KLIA1 and KLIA2, a necessity that unfortunately, is not available in NAIA. One of the best things that I love about this airport is that the WiFi is fast and reliable. 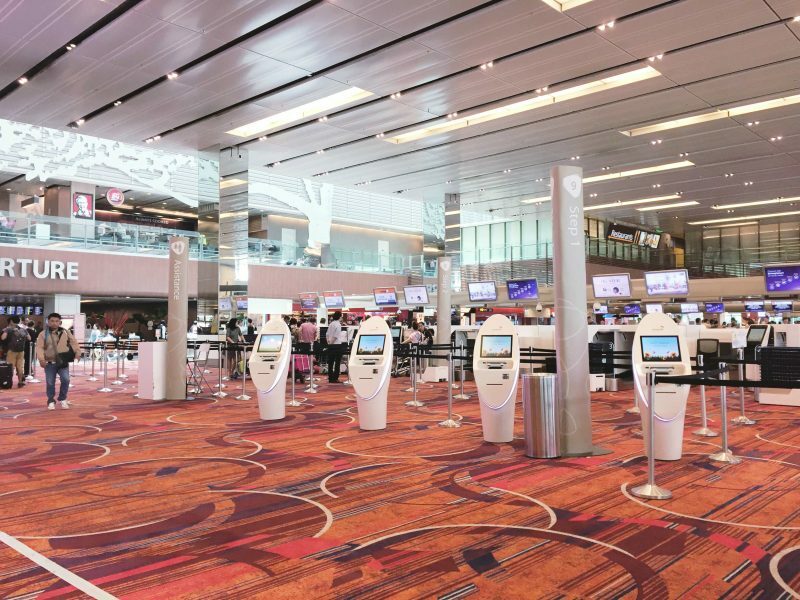 There are even computer machines that are placed strategically in several places within the airport so if for some reason, you cannot use your mobile phone to access the Internet, you can use these computers for free. The boarding gates are also much more organized. They are divided into small rooms with seats, and they only open an hour before the departure. There are seats, however, outside these boarding gates where travelers can stay and wait. Penang International Airport is a medium-sized airport and it looks new. Wikipedia says it had a major renovation between 2009 to 2013. It serves as the hub for low-cost carriers, AirAsia, Firefly, Malaysia Airlines, MASkargo, and Malindo Air. I like it, it’s clean, modern, pretty impressive for a small airport. 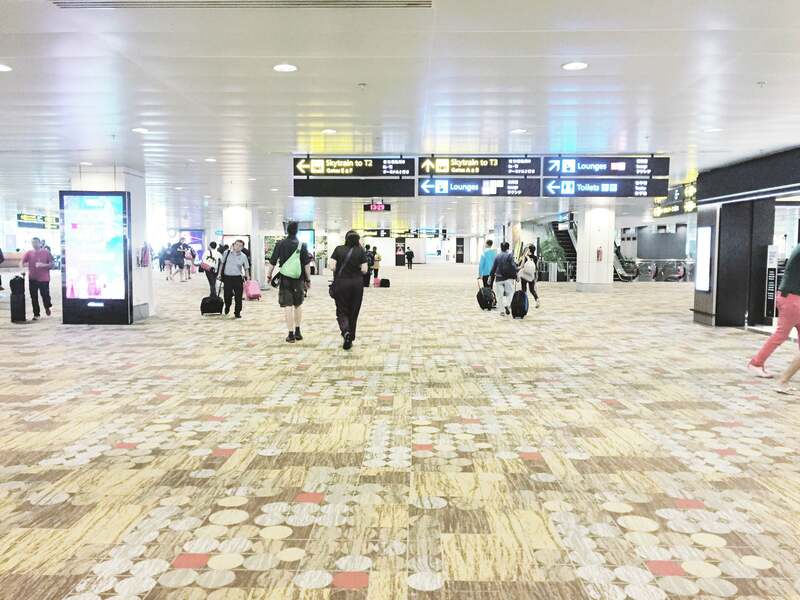 One of the reasons I opted to fly between Malaysia and Singapore is to have an opportunity to the visit 5-time winner of World’s Best Airport by Skytrax, Singapore Changi Airport. It proved to be one of my best calls because Changi is by far the most impressive airport I have ever set foot on. This airport is a destination on its own that many travelers recommend to spend at least half a day to explore this airport. My friend advised me to stay there for 6 hours, a suggestion that I found to be ludicrous at that time. Turns out she knows what she’s talking about because there is so much to see in Changi. It has many elements that I never thought I’d find in an airport, like an entertainment deck, beautiful gardens, swimming pool with jacuzzi, movie theater, koi pond, butterfly garden, the world’s tallest slide in an airport, self-service kiosks, and hundreds of shops and restaurants. Every corner is a delight to the senses that I lost count of the times I uttered “wow”. Two of my favorite things in this airport is the massage chairs (I used it for like 2 hours, it was pure bliss), and sleeping lounges. I was happy to see that there is an area where travelers can sleep more comfortably, something that I wish all airports have. I was particularly mesmerized by the kinetic rain art installation. It’s 1,216 bronze droplets, which you can find in Terminal 1. The droplets move up and down in a slow, fluid motion, and if you look closely, they form some patterns such as a plane, a kite, or a dragon. It is seriously one of the coolest things I’ve ever seen. Unfortunately, I wasn’t able to fully explore the airport because it was hard to walk around with a suitcase in tow. I know right. But then that’s the thing; when you are doing something you love, you are more than willing to make a sacrifice and face your fears. This is true even in other aspects of life. It’s like falling in love with someone who is clearly no good for you, but you love the person anyway. It’s like having food that you know is bad for you, yet you eat it anyway. I like to see flying in the same manner (although, of course, it is not really that bad). It gives me anxiety and I will never get used to it. It makes my heart pound, it makes my palms sweaty, it makes me atone for my sins. But a few hours of discomfort cannot be compared to the reward that I get from seeing new places. So I will continue taking those flights, turbulence and all, if it means I’d get to do the one thing that truly gives me joy. Reading this made me recall my worst airport experiences and my fears of flying. You rode a C130 before? Nice!!! I liked the first part of your post about the turbulence experience. It was disappointing to note that your fellow passenger, later on, became a little worried. I really enjoy your posts and the way you express your feelings. For a timing, I felt I was with you in the flight and the flight was actually wobbling. 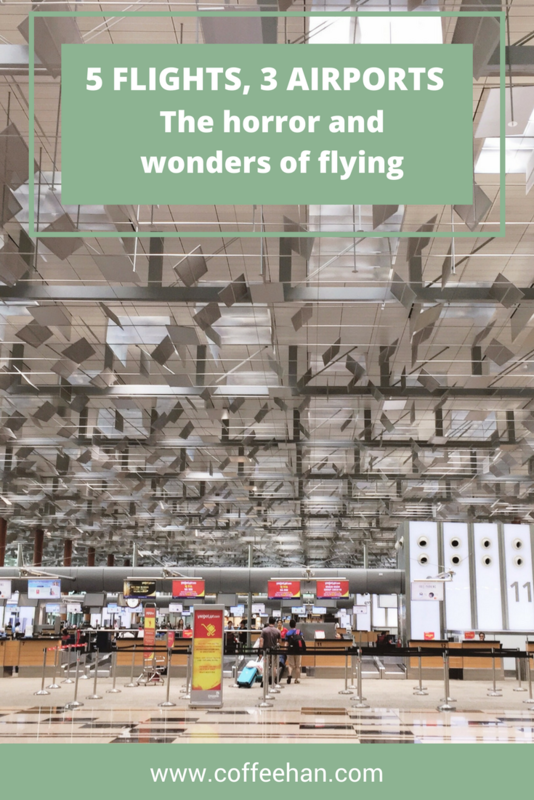 The Singapore Changi airport is on our list too and have always heard praises about it. The kinetic rain artwork will be something new for us. Your pictures are cool. I try to sleep through flights, especially during take-off and landing. Totally understand that queasy feeling when the plane takes a dip. For me, Changi is the most beautiful airport. I always give allowance when leaving SG so I can go around Changi and shop. It’s interesting to see different airports in Southeast Asia. I have yet to discover them. The one on your list that I have seen was Changi. The first thing that I can remember is their indoor garden. I always judge an airport by the design, look and cleanliness of their toilets. They should always make the cubicle large enough to be able to bring the luggage inside. It’s such a bummer when traveling alone and we need to leave the trolley unattended outside the door while we do our business, haha. My last flight got us scared. It was Coron /Busuanga to Cebu. It started raining hard. After take off, we went inside a thick cloud and as expected, air pockets. There was a sudden huge drop. The kind that made my heart and stomach leap, as my seat dropped and I screamed out loud. Everyone did. I thought that was it. It was silent and we were all uneasily staring at each other and then we all nervously laughed afterwards. I’m trying to think of my own anxiety related to travels. Maybe, not being able to work (when needed) while I’m traveling. I work on my laptop so if there is no internet or power outlet and I badly need to work, I get super stressed out. This happened in Palawan – my problem was power outage haha For flights, I enjoy the dips and jolts and turbulence haha I have never experienced being in the aisle seat though… and maybe I am an annoying passenger in the window seat because my face is always blocking the window. My worst airport experience though was in Narita – not because of the airport – I love the airport as much as I love changi just that I took a domestic flight with Peach Airlines and the staff there could not speak english at all and she tried to read an announcement – i swear i literally got the worst migraine of that year. I couldn’t understand what she said and the accent was just torture. 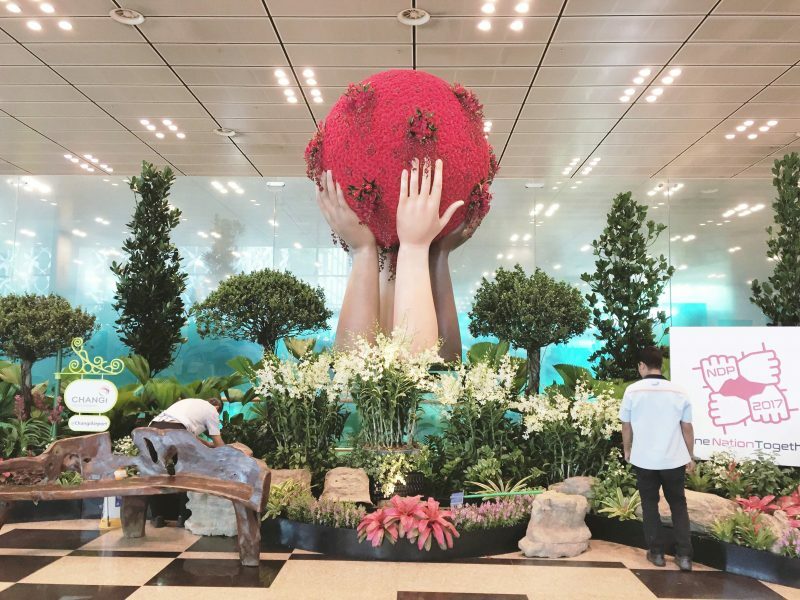 I’ve been to Changi airport teice but never appreciated the place. Maybe I was there at the wrong time or because I had companions who just didn’t fuc*kn want to move around and didn’t want to be left behind. My worst flight was with Cebu Pacific, Shanghai to Manila. I can handle the worst turbulence but my companion at that time would not allow me to sleep. I can’t not sleep on a flight.